Do you want something special to spice things up a bit? 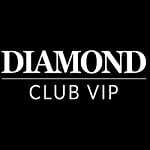 Then come on down to DiamondClubVip casino and claim what you deserve. 100% up to £300 every Sunday for the first 4 weeks. In order to activate each promotion, reach out to the Support team and they’ll help you out. Don’t forget to wager your bonus and deposit amount 40 times in order to withdraw your funds. Diamonds last forever, but promotions don’t. Start playing now and win incredible prizes! Good Luck!